Chair is a new exhibition that will open at the Museum of Design and Applied Art as part of DesignMarch 2017. 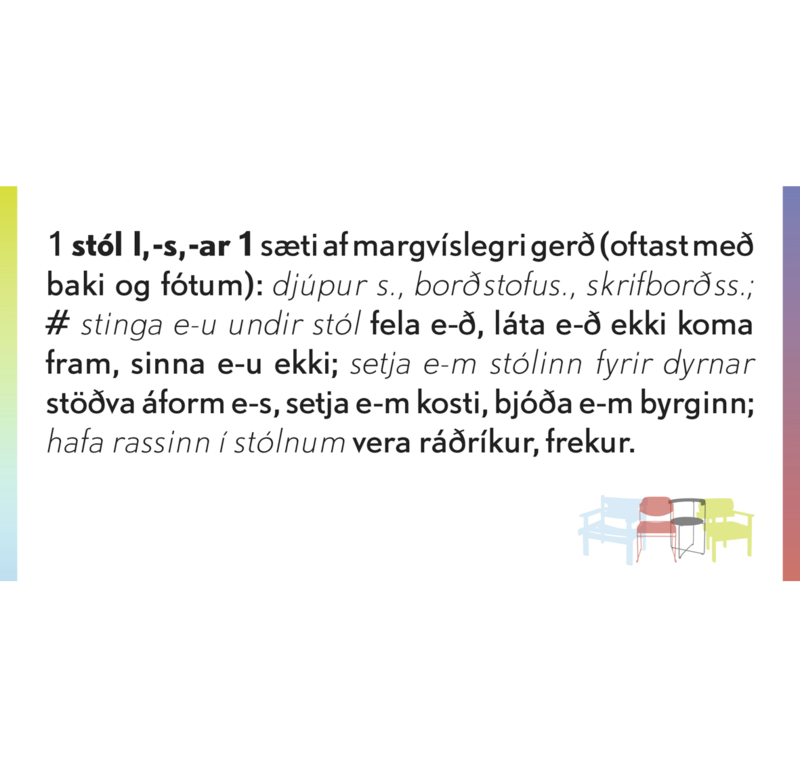 The exhibition features a number of chairs by Icelandic designers and will open at 3 pm Saturday March 18th. The chairs are part of the Museum’s ever-growing collection. The oldest chairs are from the 1930s while the youngest one is from 2013. The collection now includes a few hundred chairs, spanning a range that includes domestic and foreign mass-productions, special designs for particular places and prototypes designers have made as part of their creative process. Chairs are often the largest part of design museums’ collections and no wonder since the chair is one of the most important pieces of furniture. A chair, or “setgagn” (literally sitting utility) like author Halldór Laxness called it, can be a modest piece of furniture but when looking at different homes and places, one can often see how the chair underlines the purpose of the area and symbolically represents the role it has in each place. The exhibition also includes various references to chairs in the Icelandic language and photos of Icelandic chairs in public spaces from different times as well as interviews with a few furniture designers about specific chairs they have designed. Special thanks to: Landakotsskóli, RÚV, Borgarsögusafn, Þórarinn Eldjárn, Sigurður Gústafsson, Pétur B. Lúthersson, Þórdís Zoëga, Þorkell G. Guðmundsson, Háskóli Íslands-Magnús Diðrik Jónsson.